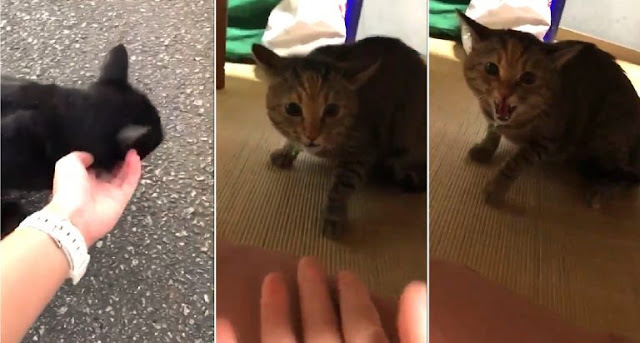 A cat in Japan became super aggressive after discovering that her owner played with another stray cat. The cat flicked her paw to drive the human’s hand away when she noticed the smell of another cat. Looks like she didn't regret it at all.